I currently have limited access to the D-day website and no access to my FTP, as I cant post any news updates my enthusiasm to work on D-day has dropped somewhat. 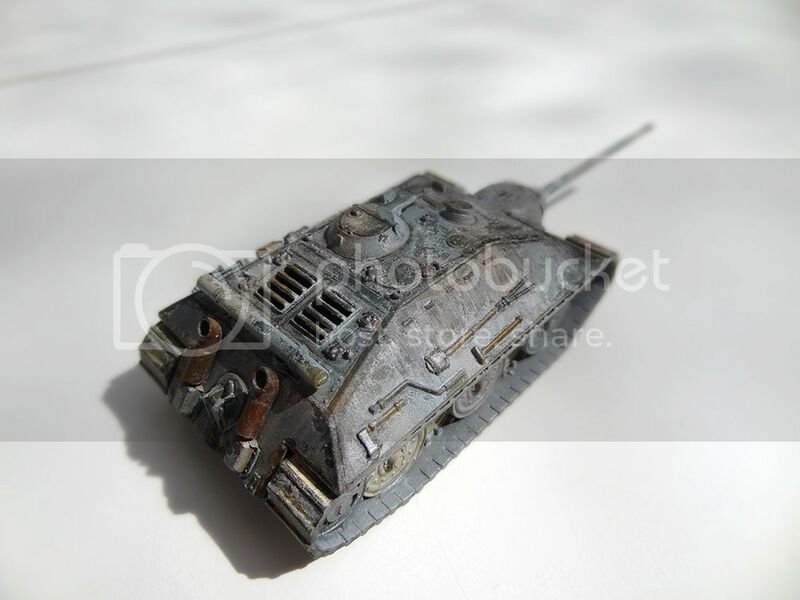 So I decided to work on a physical model instead of a voxel one I haven't made a model tank in about 15 years (moved house & no longer had the space to make models). 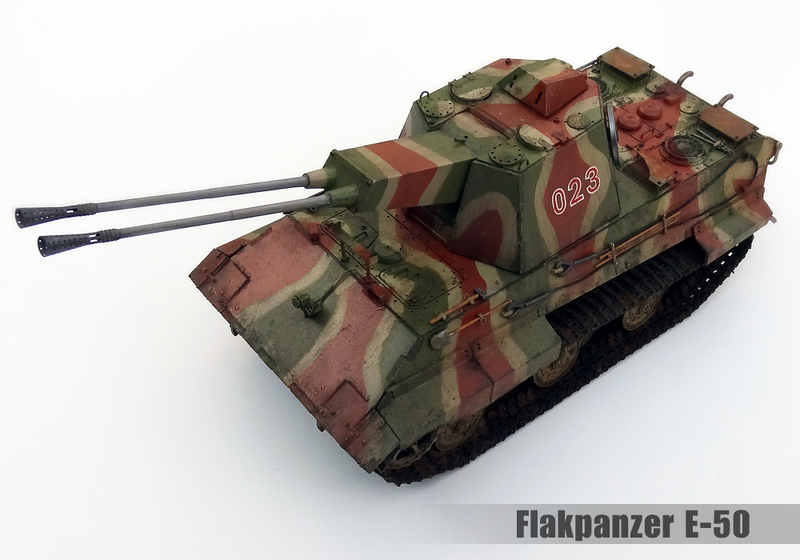 I had a lot of fun making this so I plan to make some more, if there is interest I'll post more of my modelling work here. 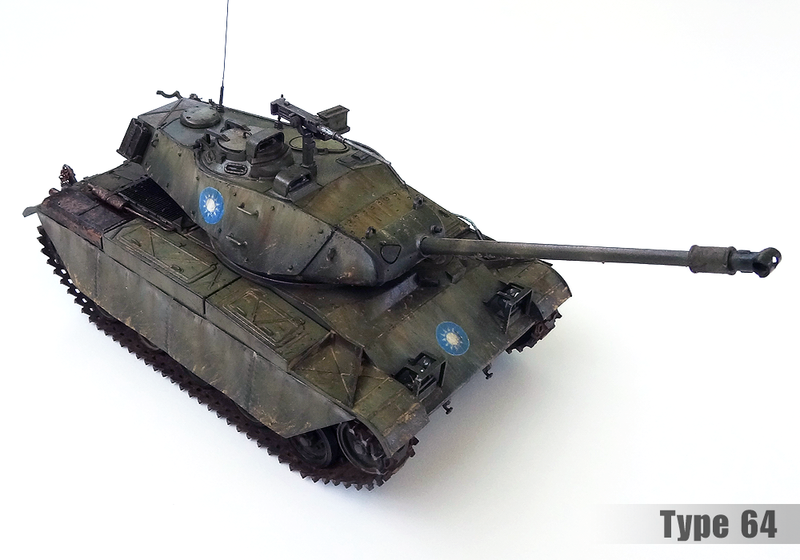 For comparison this T-34/85 was made 15 years ago, it's been sitting on a shelf since. But make a mammoth, please. concerning your tank. detailing is nice. Only the lighting is off. Sun (flashlight) needs to be in southwest. The ground could use some work too. It looks untextured and a bit flat. I still want to make a mammy My original idea to make a 3D model and get a company to print it came to an abrupt end when I realized they would cost over £100 each. I could buy my own 3D printer now which would drastically reduce the cost of each model but would still require a large initial investment. I might end up making one out of plastic card, but it would then be a one off hand made model just for me then. you could try to print each face/wall on paper. Then use the paper pieces as pattern for the real material cuttings (wood, metal whatever). 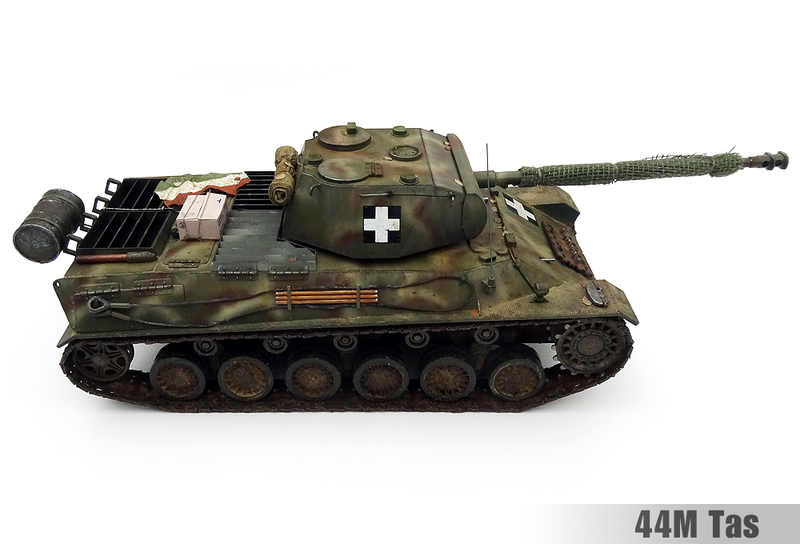 How do you make those models?! 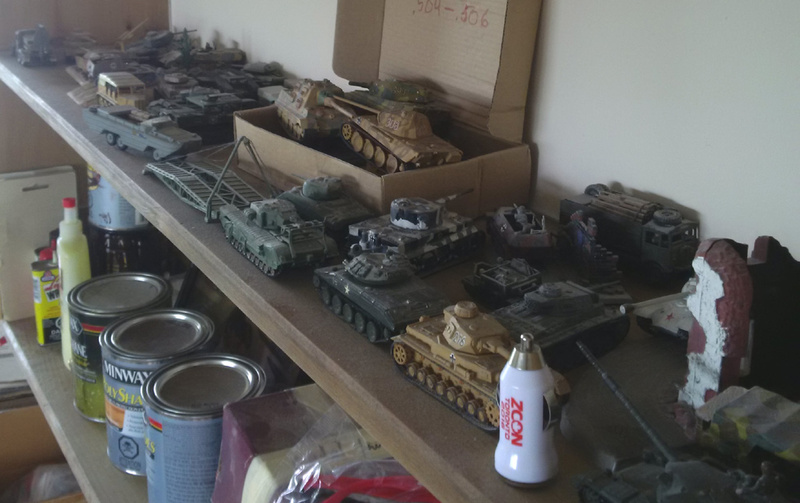 So much beter than those models at Hobbyland! Your local "Hobbyland" seams to specialize in pre-built die cast models that wont be as detailed as hand made and painted model kits. 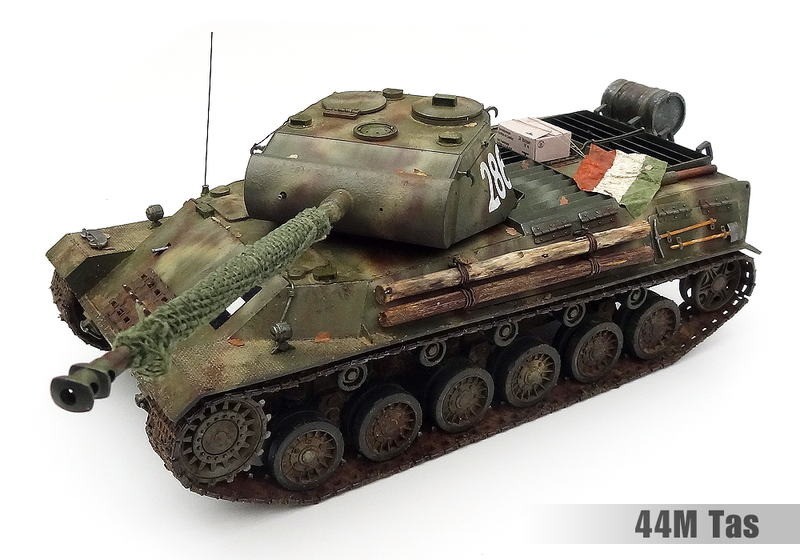 I don't plan on making a Stug, I prefer more exotic prototype vehicles like the E-25. 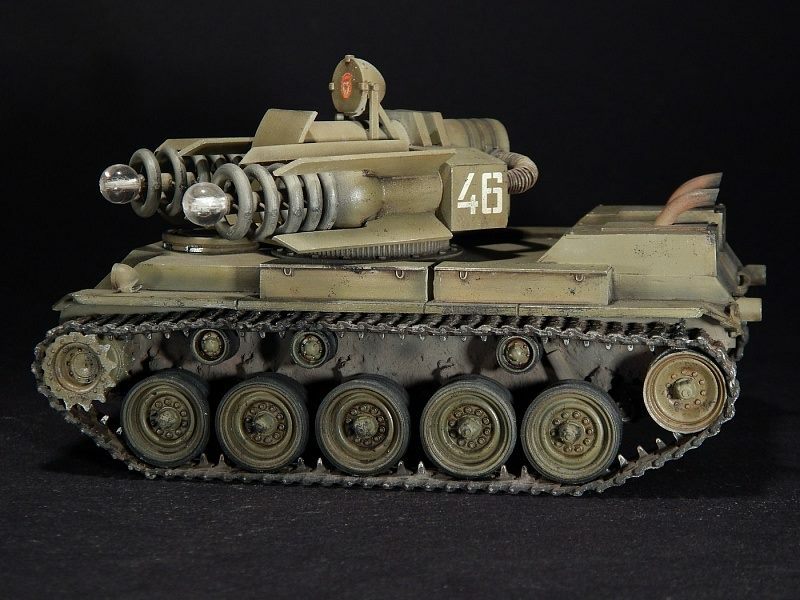 I don't plan on selling any of the modes I make either, the Mammoth tank would have been an exception but it would have been sold as a kit rather then a finished model. 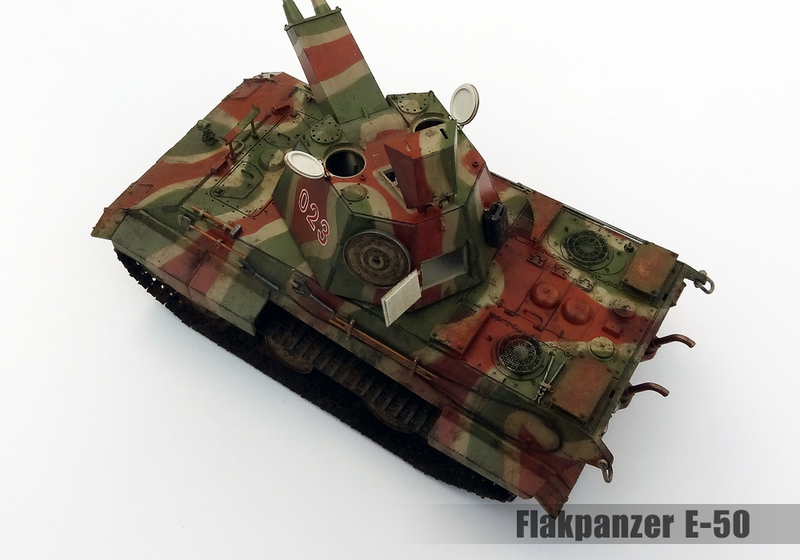 Here is another E-25 (the kit comes with a pair of them) this time done in a winter white wash camo. Did anyone tell ya how cute it looks? 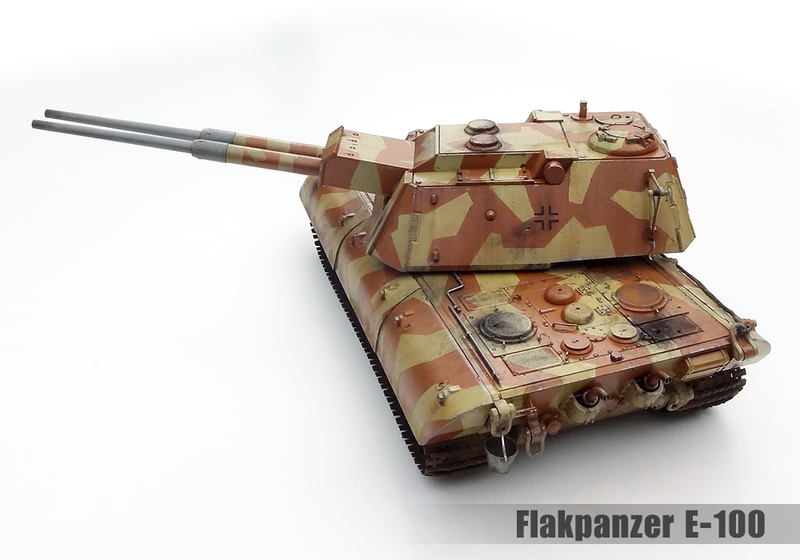 Ace weathering work. As a miniatures guy nowadays, your work is top notch and I'm pretty jealous. Thanks, these two where my first time weathering a model so I experimented with several different techniques and types of paint to see how they would turn out. 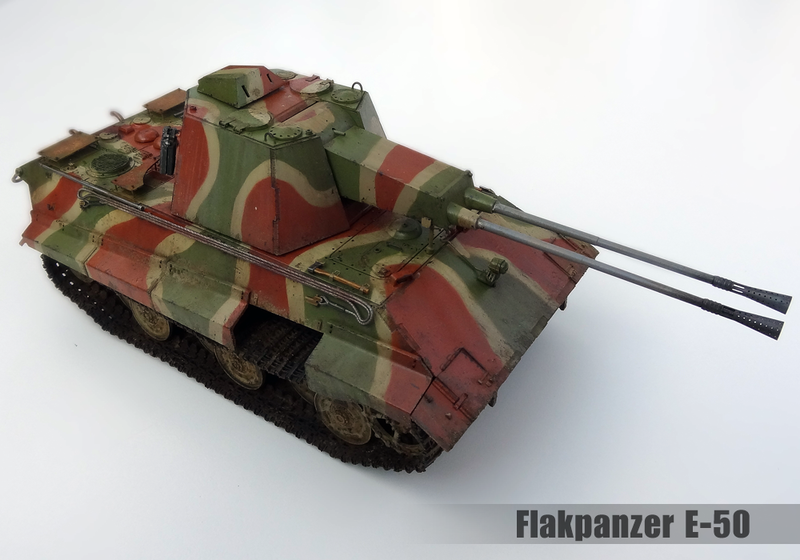 I'm happy with the effects overall but I feel I over did it in a few places I'm planing to move from 1/72 up to 1/35 next with an Jagdpanzer E-10. 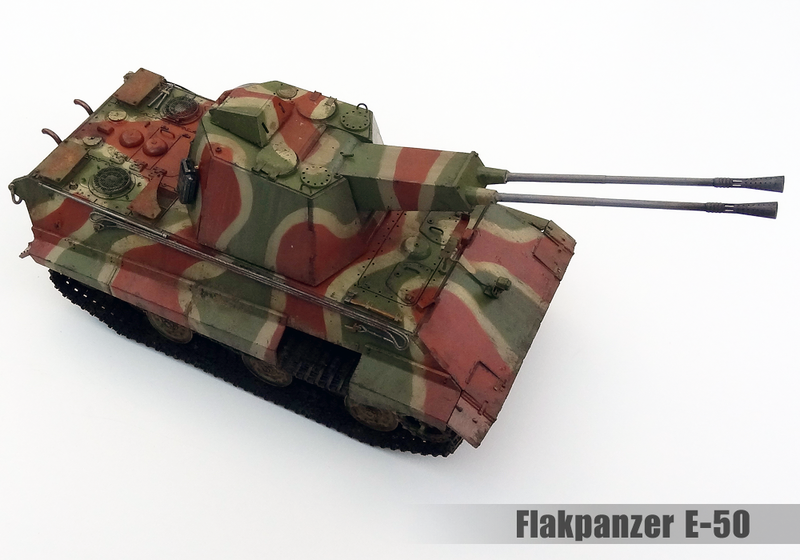 WIP pic of my 1/35 Jagdpanzer E-10. 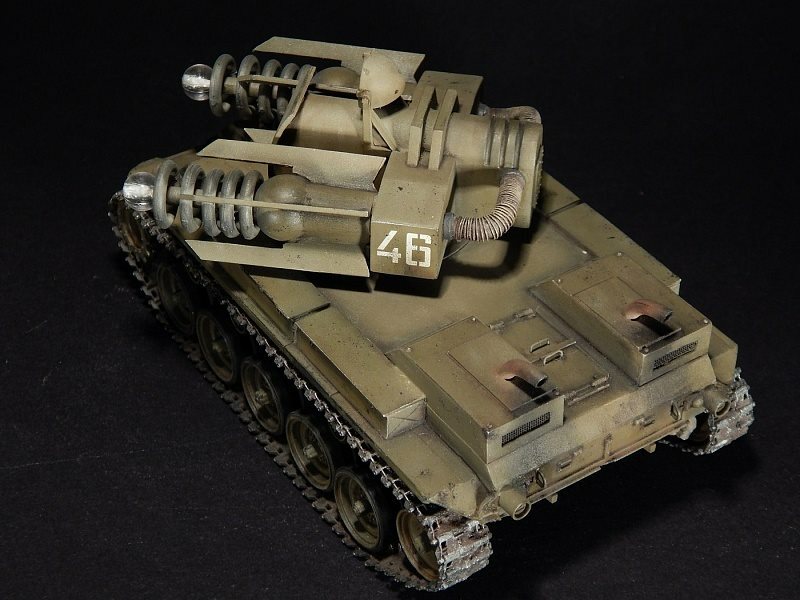 I'm also making a turreted recon version of the E-10 which requires making a lot of scratch build parts from plastic card. 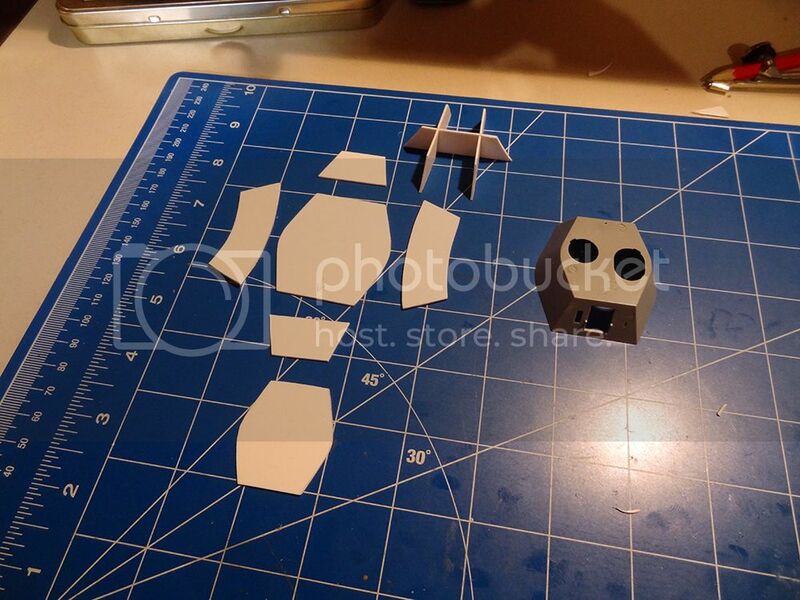 So far I've made the basic shape of the turret and the gun mantlet. 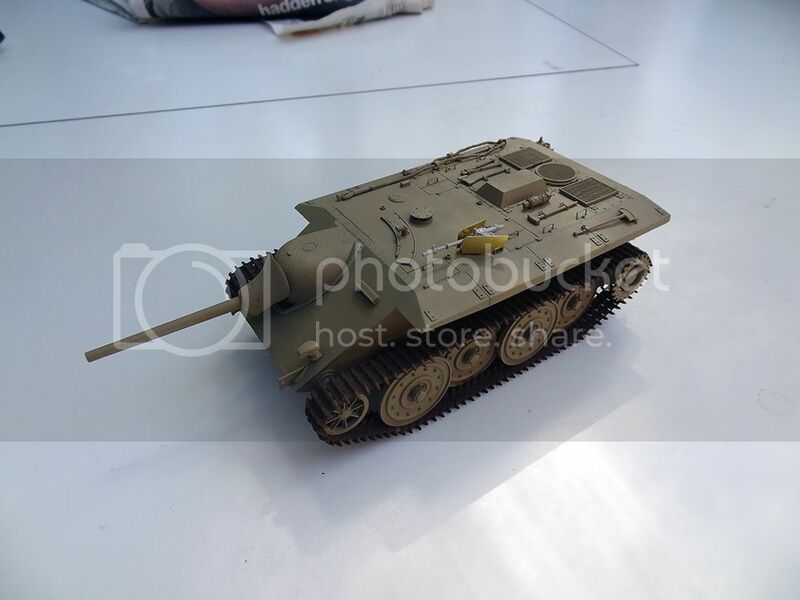 Interesting compact, low-frame design with the E-25, reminds me of a tank destroyer but apparently it was more of a reconnaissance/light assault vehicle. 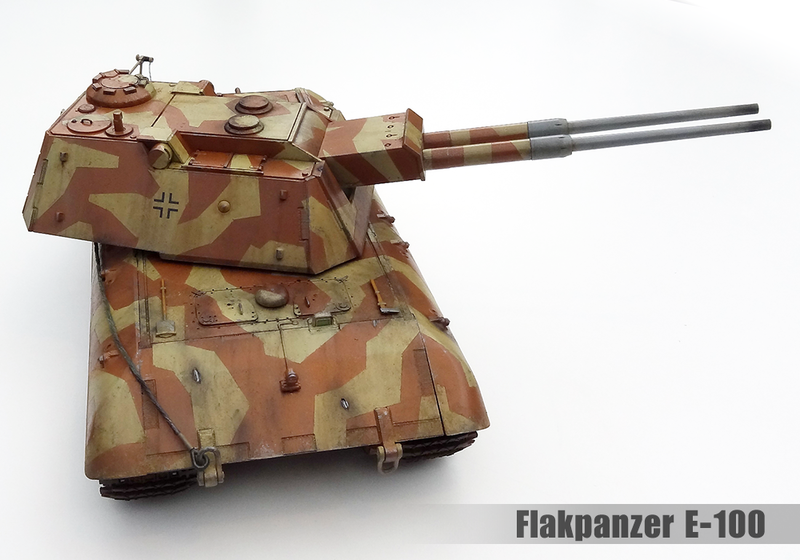 Shouldn't the lack of a rotateable turret make it inferior to the Panzers it was supposed to supersede? Good models. Keep it up. D-Day's unit count currently stands at 979. That the engine can even handle that. 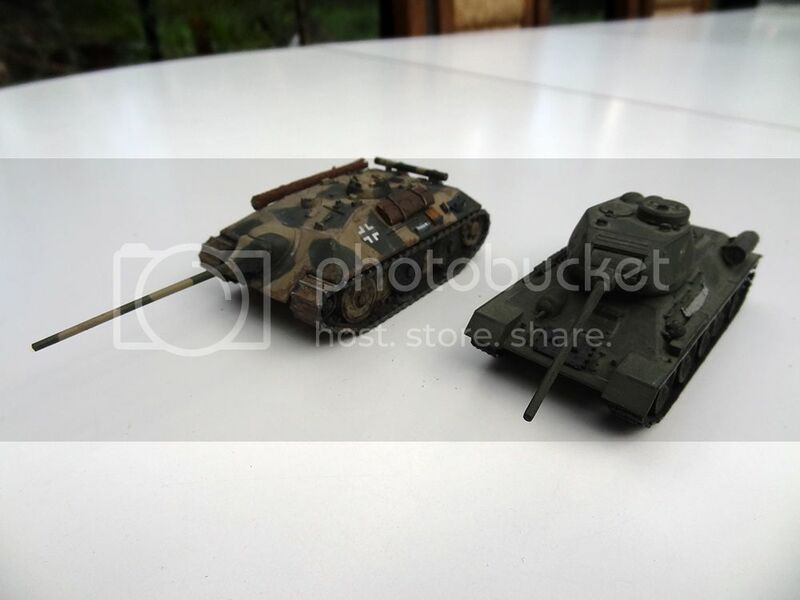 Nice, they look like 1/76 & 1/72 Matchbox & Airfix kits? 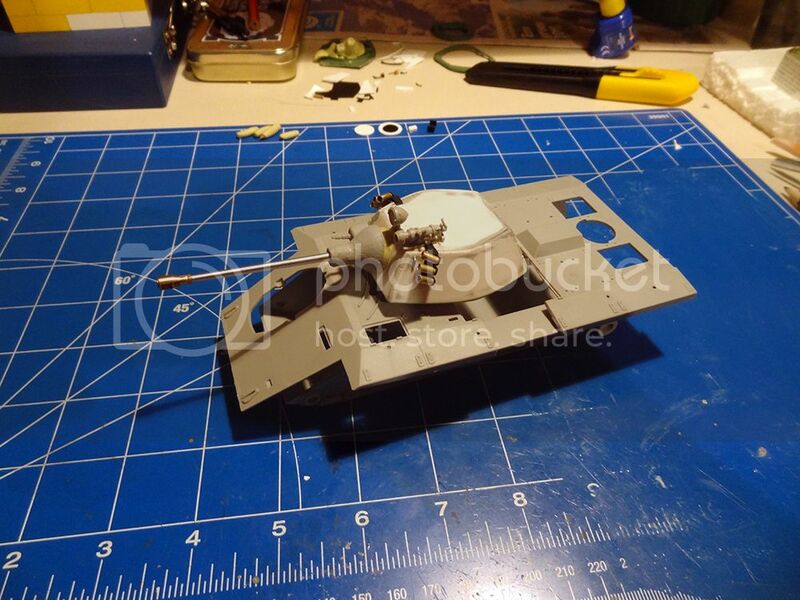 I'm making progress with the turret for the recon E-10. 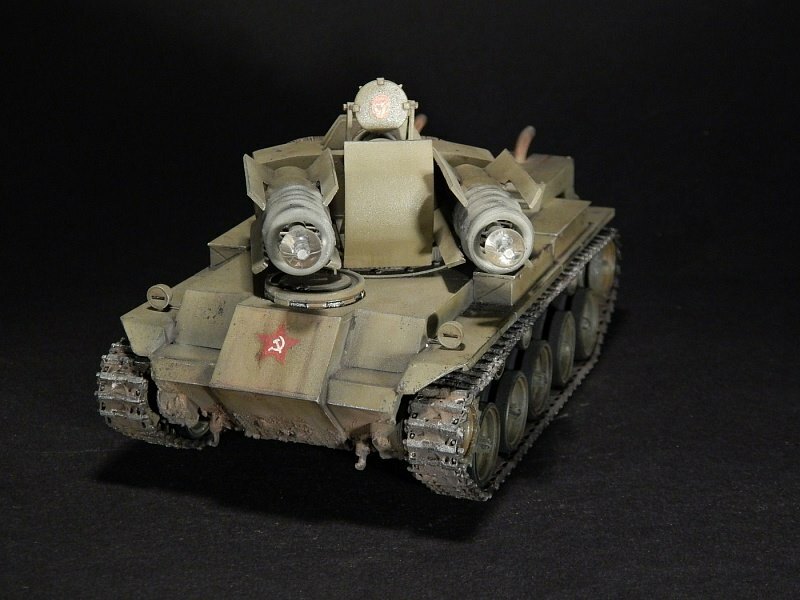 I added a metal barrel that I bought extra & an infra-red night fighting scope that I nicked from an E-100 kit. The normal E-10 hull needs to be enlarged to fit the turret so I did some surgery in preparation for building a new upper hull section. Here is how it looks with the turret on top to give an idea of what I'm aiming for. Is that the Puma's 50mm. gun? 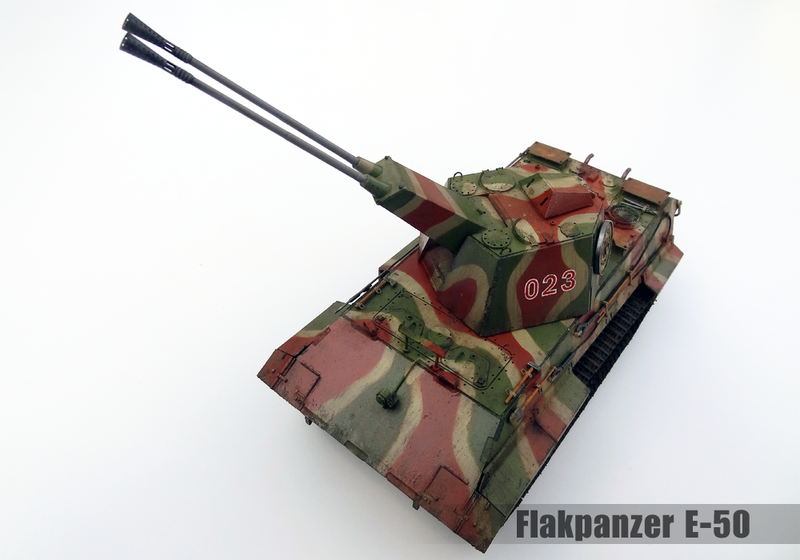 Yes, the whole turret is based on the Puma/Leopard design. 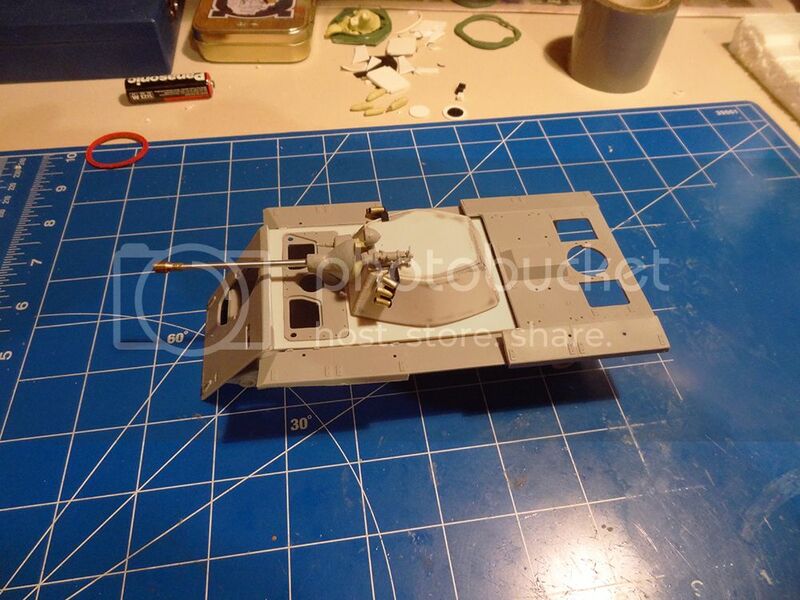 More updates, I made the upper hull plate & also nicked some front hatches from an E-50 kit to fit in it. 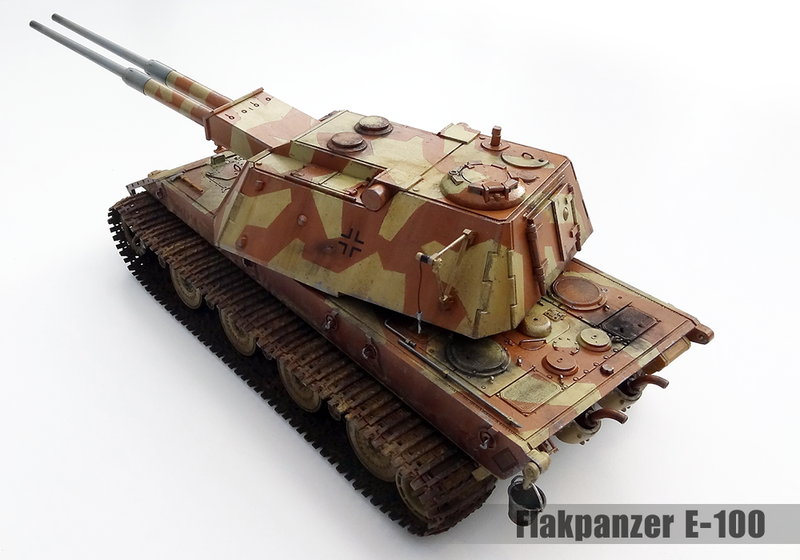 So I said I wouldn't buy a Stug model kit but... 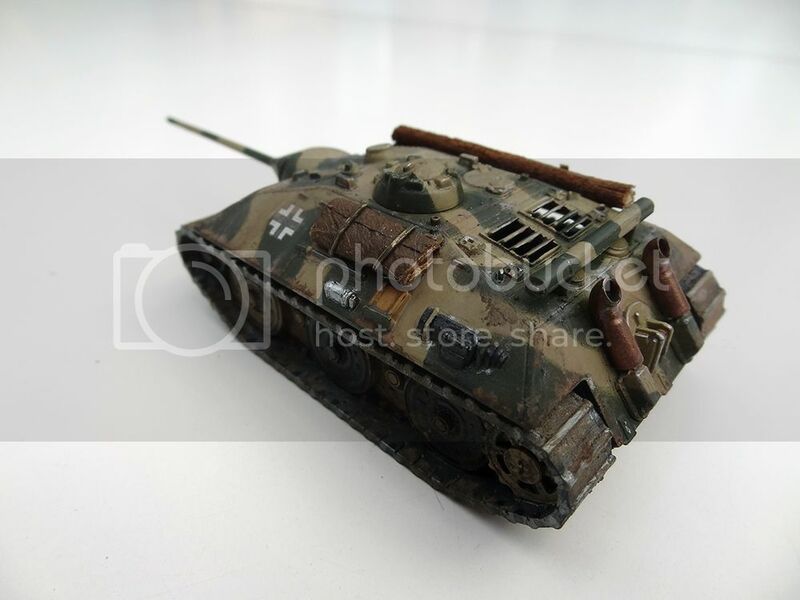 I got a Girls Und Panzer Stug, along with the four other main tanks from the show. I am happy about you, Mig Eater! Fun fact: I knew about Girls und Panzer before you made VXLs for 'em in D-Day. 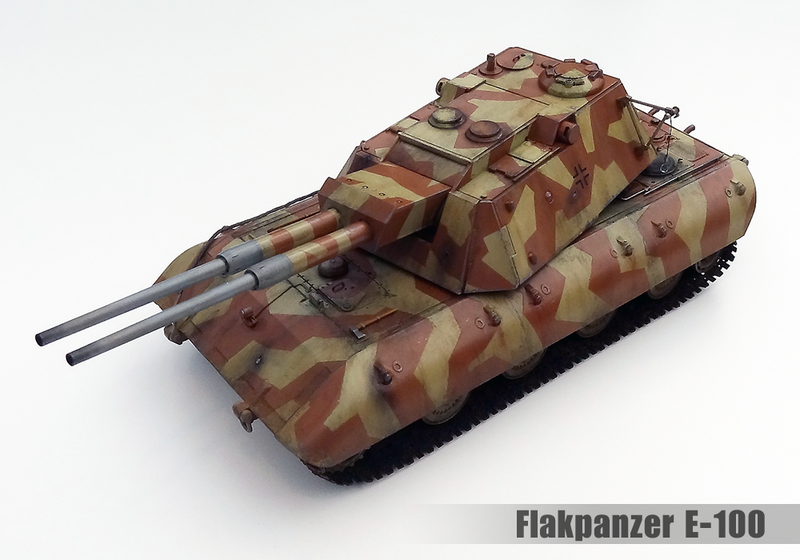 After making the Flakpanzer E-100 I thought I'd build up its little brother the Flakpanzer E-50 As usual I made some changes to the base kit; replaced the barrels with metal ones, the rubber band tracks were replaced with individual plastic track links (which look a lot better but were a pain to fit). I also scratch-build armour plates over the engine deck & modified the turret hatches so they can be either open or closed. Impressive. I would never have the patience to create and put all these tiny pieces together. 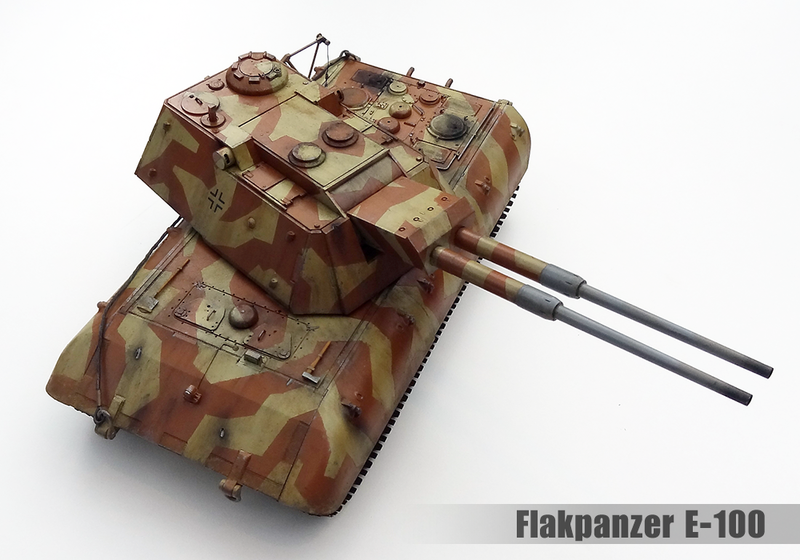 Offtopic: How much damage would a Flak Panzer do versus ground units and could it actually engage ground targets? Why so much interest in prototypes? 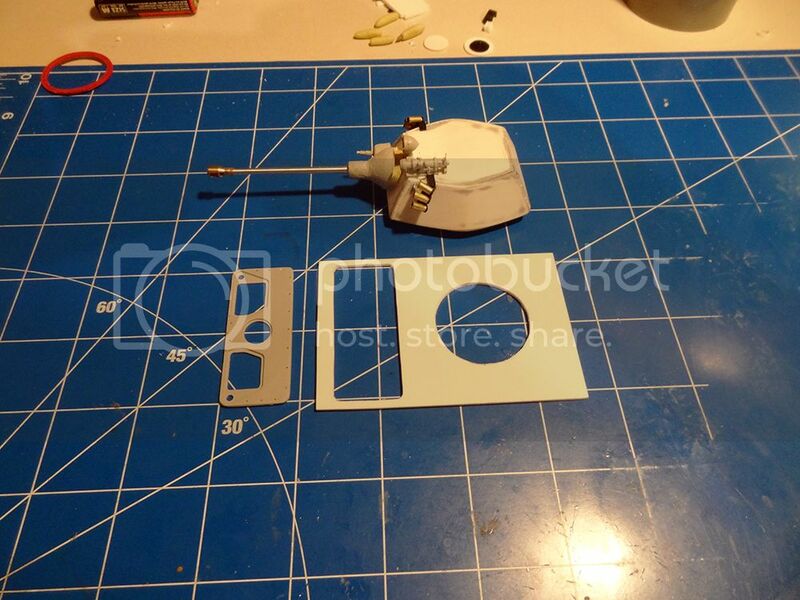 The hinges for the turret hatches were insanely small, I had to glue a 0.3mm rod to a 0.1mm bracket! I was so nervous putting that together because if I lost any one part the hinge wouldn't work & I'd have to glue the hatch shut. 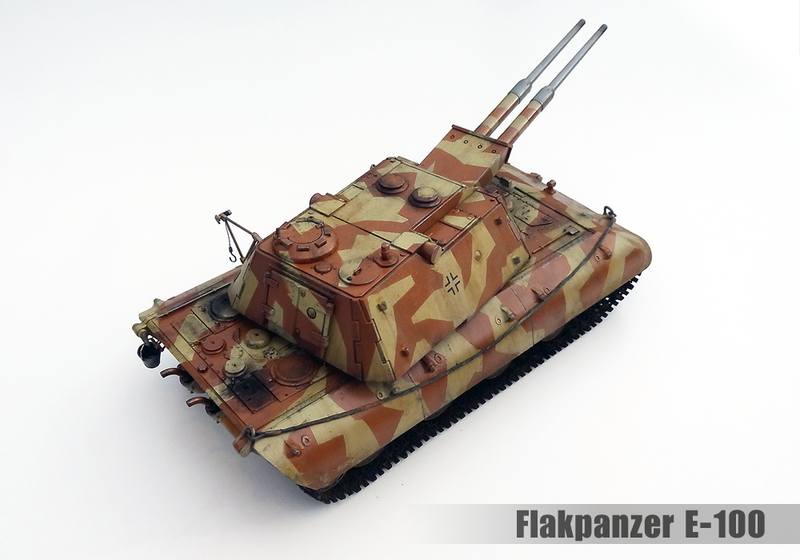 Flak weapons work the same as a normal tank cannon, the main difference is the high explosive shrapnel ammunition they use against aircraft. 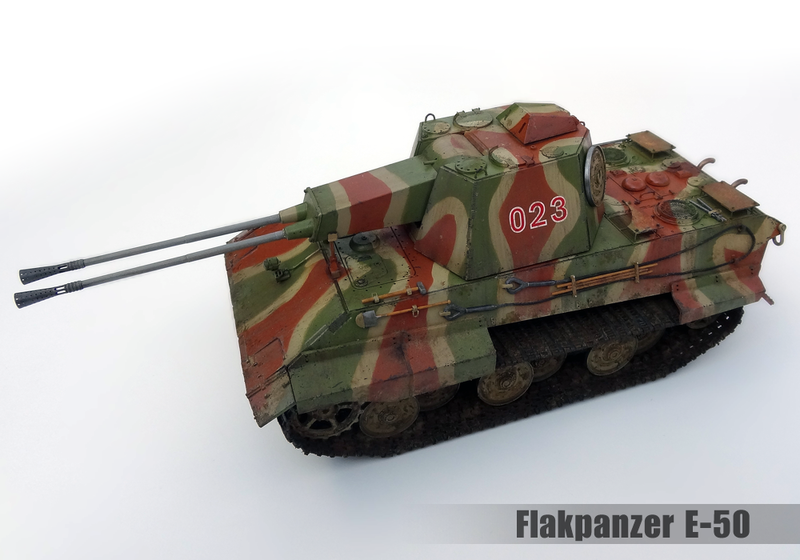 Most flak guns can also fire normal armored piercing ammunition too, in fact a lot of anti-tank cannons are just flak guns without the extra AA stuff etc. I <3 prototypes I've already started on my next model BTW, a 44M Tas. 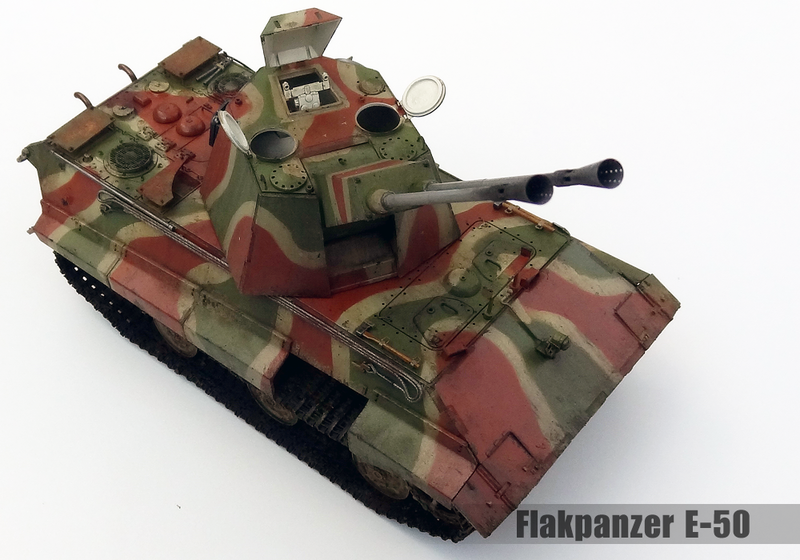 I've finished another model kit for my slowly growing what-if tank collection. 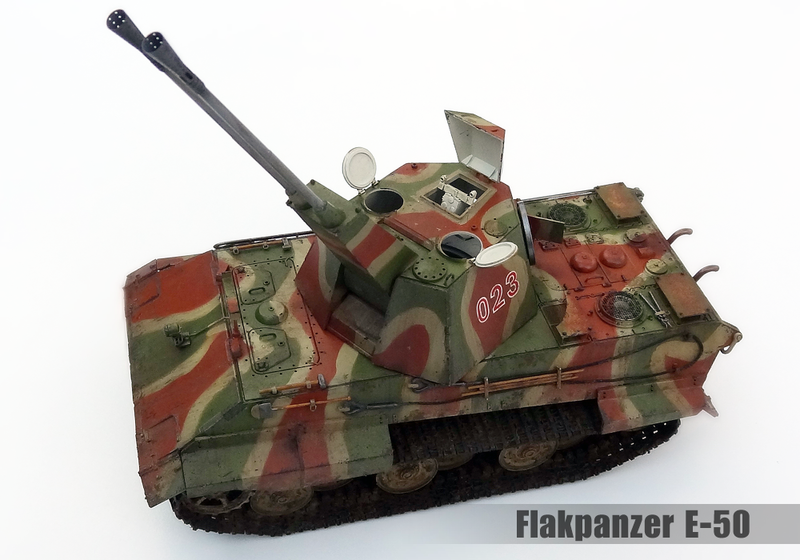 This time the Hungarian 44M Tas heavy tank. The original Tas only got as far as the prototype stage when it was destroyed in an air-raid, along with most of the documentation & tools at the factory, which put an end to its development. 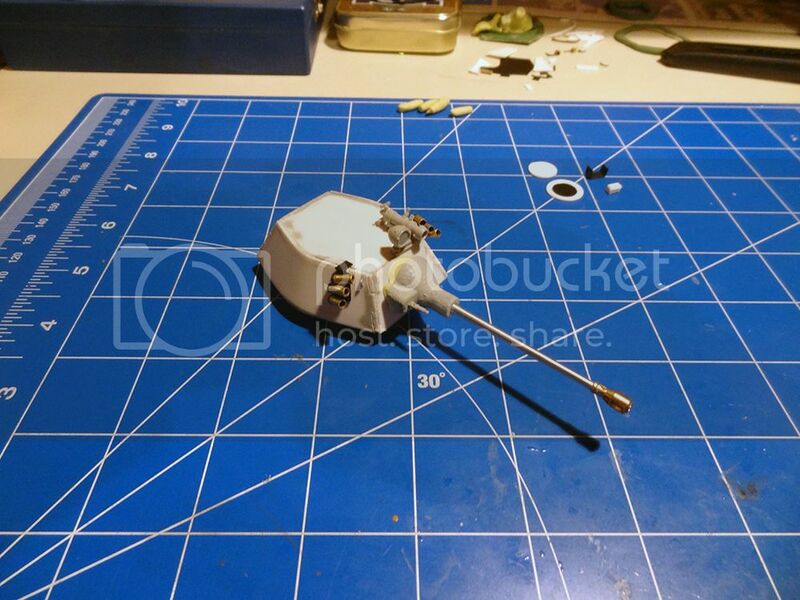 This kit is from Hobby Boss & is rather cheap & simple, so it only took a few days to put together. I then spent a month slowing experimenting with adding extra parts though. Most of which were made from inexpensive household items such as the camouflage net around the barrel is a stretched out bandage. 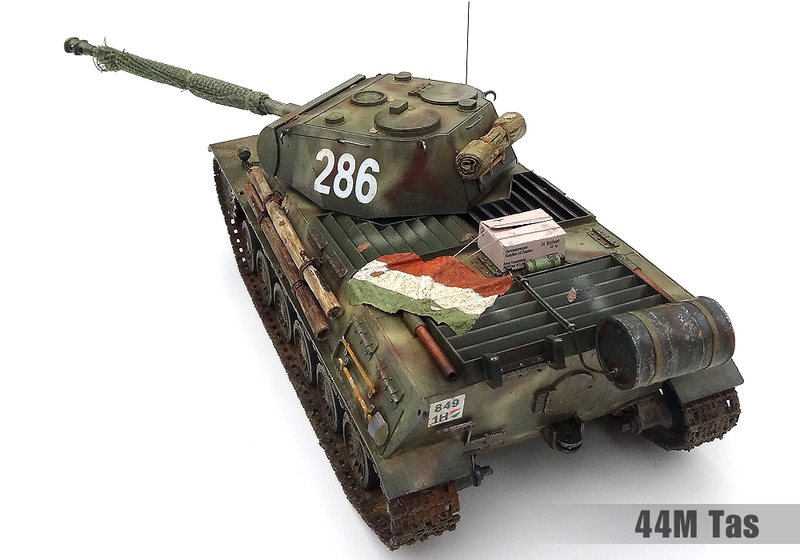 The rolled up tarpaulin on the back of the turret & flag are made from tissues. The logs are random twigs from the garden. Bits of old wire for the handles & cables etc. Other extra bits are the fuel drum on the rear which comes from a Tamiya set. 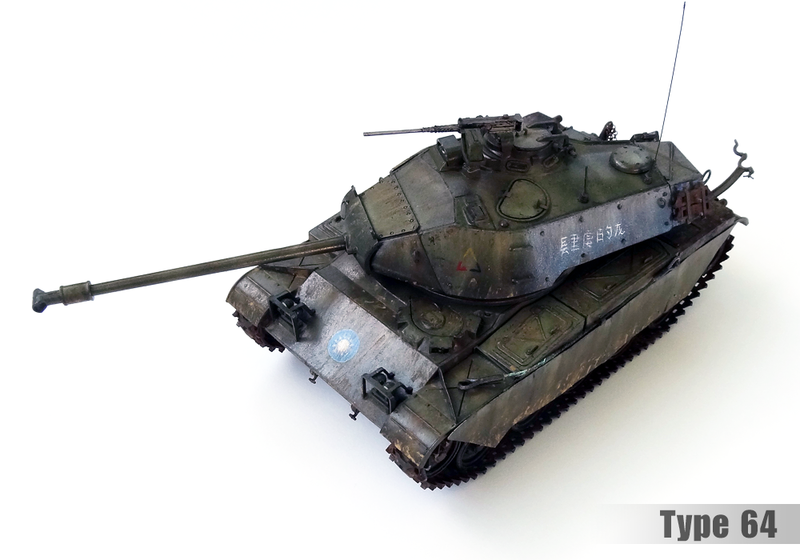 I added a fume extractor to the turret roof which was a left over part from my previous E-100 model. 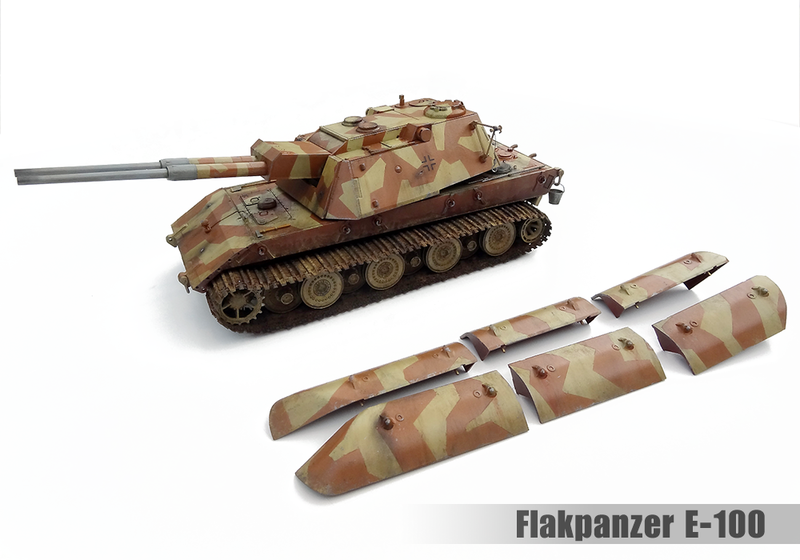 The side armour was extended at the rear with plastic card to make attachment holes for tow ropes. 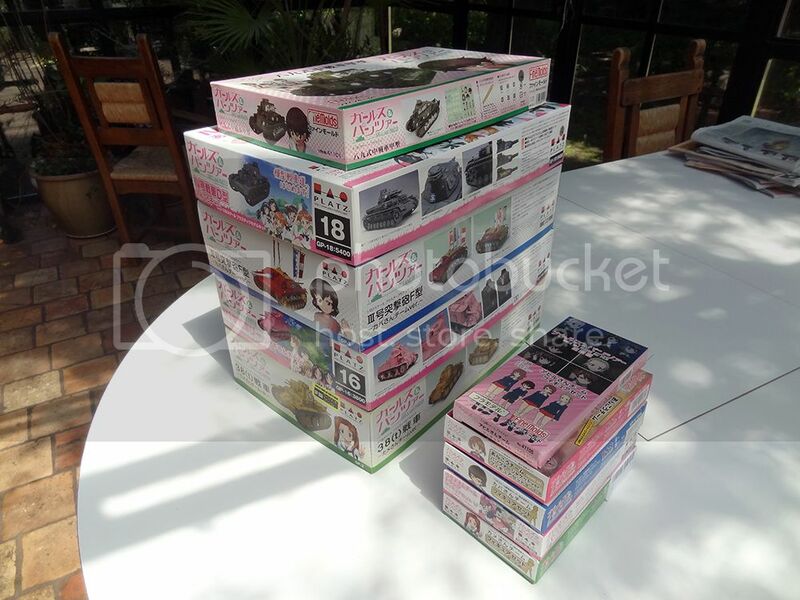 The cardboard box on the engine deck is from a set by J-Works. I also tried out printing my own custom decal transfers for the first time with the registration number plates on the front & rear. I think they turned rather well, I look forward making more in the future. Looks fantastic. Love the detail. Yeah, this looks grand as ever. 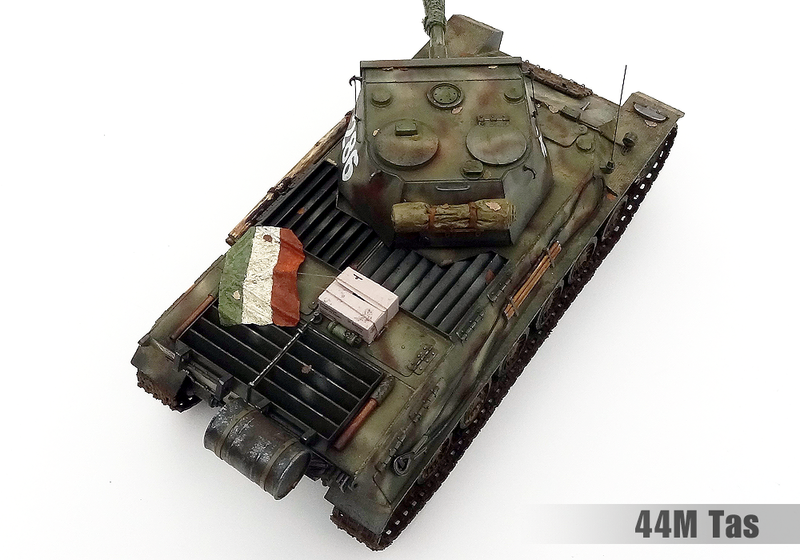 A weird OT - a lot of Hungarians don't know we had/planned a bunch of vehicle/tank designs for WW2 so I'm always amazed when things like this unfolds. I didn't even heard about our tank license plates until I seen yours. 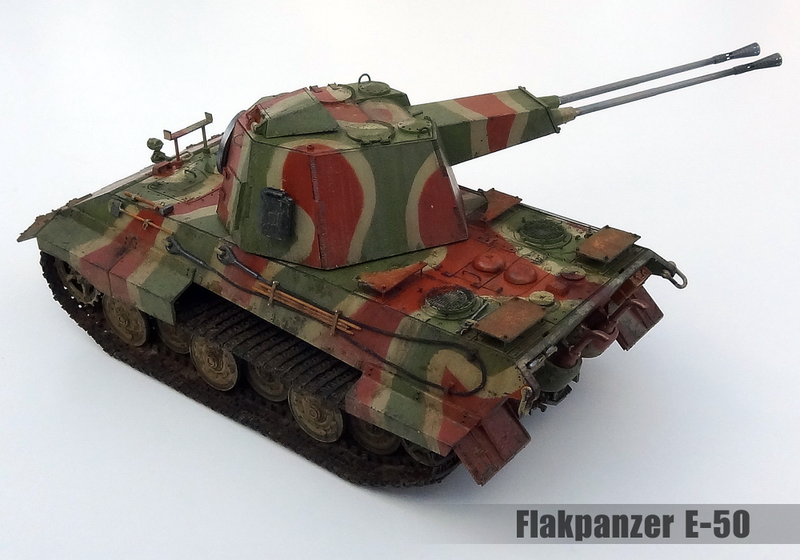 Hungarian tanks seam to have become quite popular for model makes recently. 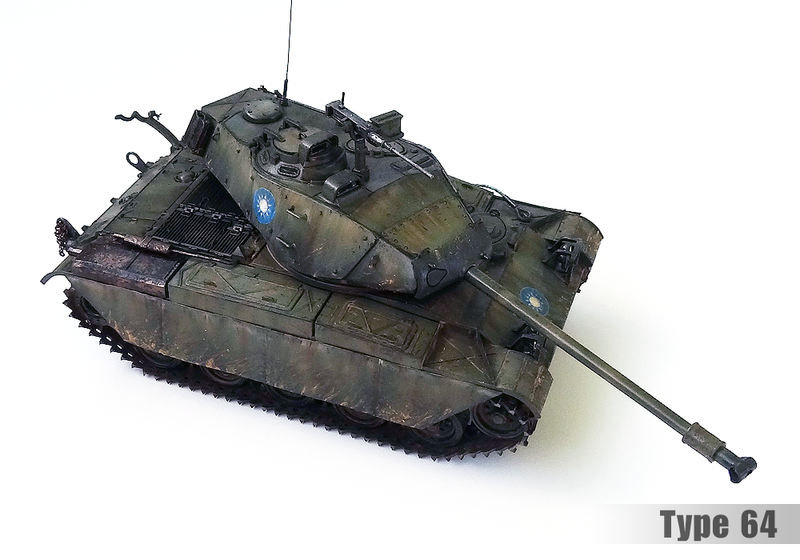 In the last few years Hobby Boss has also released kits of the of the Toldi & Nimrod tanks as well as the Csaba armoured car. 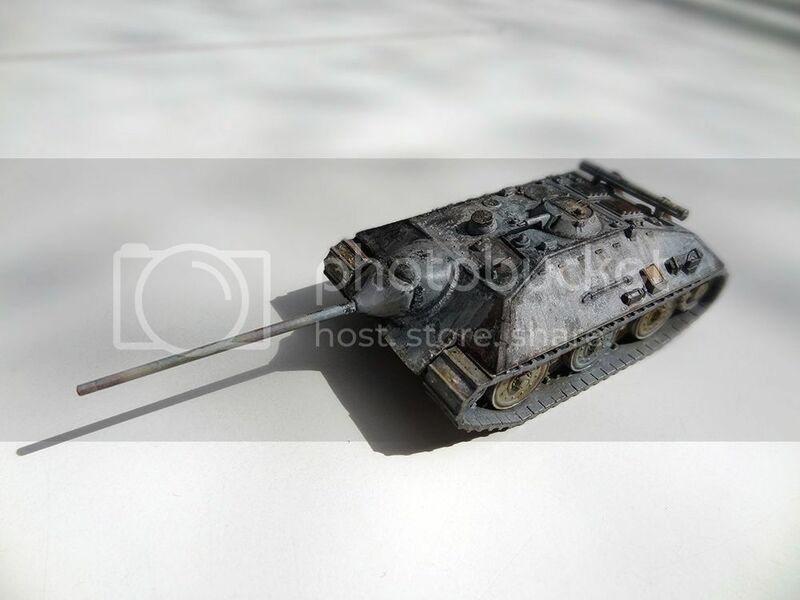 They just released a kit of the Tas tank destroyer last month too. Another company called Bronco has in the last six months released the Zrinyi I/II & the Turan I/II. 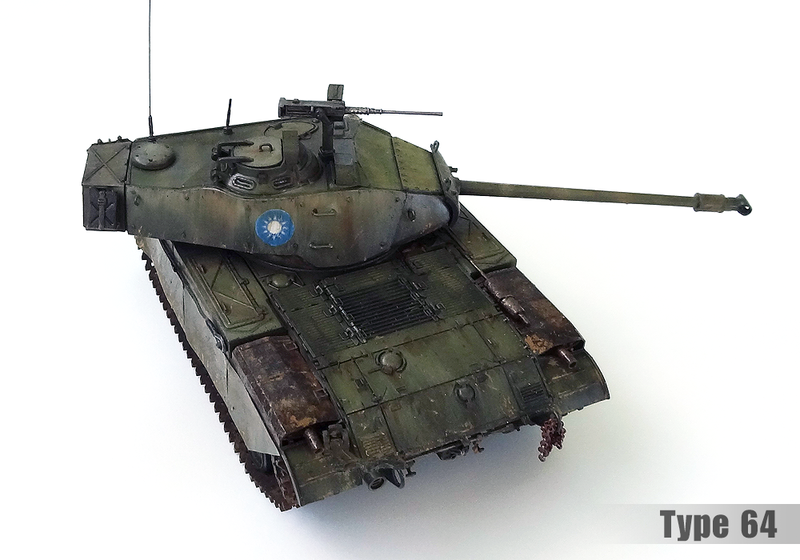 They're also making a Turan III which should be out later this year. I definitely want to get the Turan III when it comes out (I <3 prototypes), I might get the Csaba next year too, I like its oddly shaped hull . 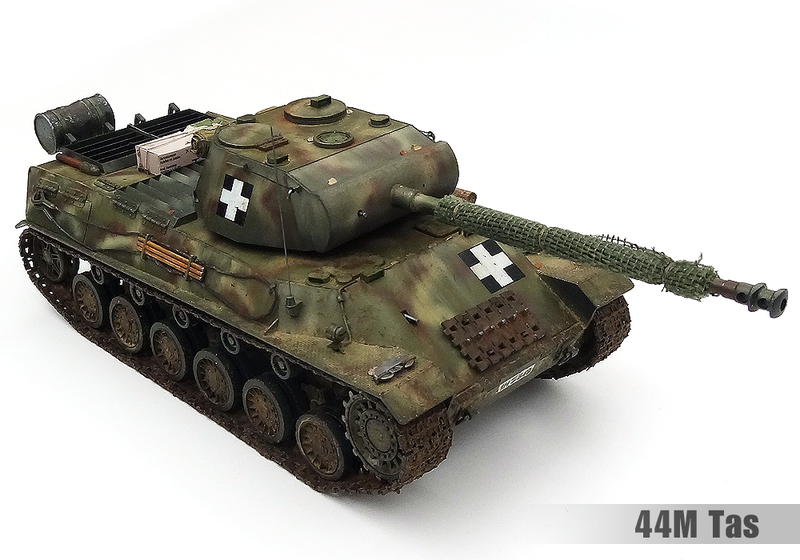 What a goofy looking tank. 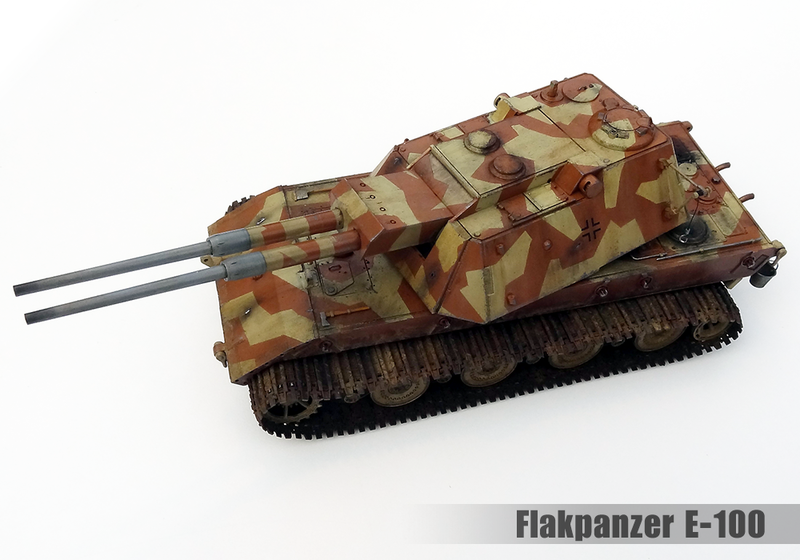 Suspension looks influenced by the Panzer IV, the turret draws heavily from the Panther. Hull looks original and it's damned ugly. Top notch work on the model, though. Isn't that the body of the Italian P40? 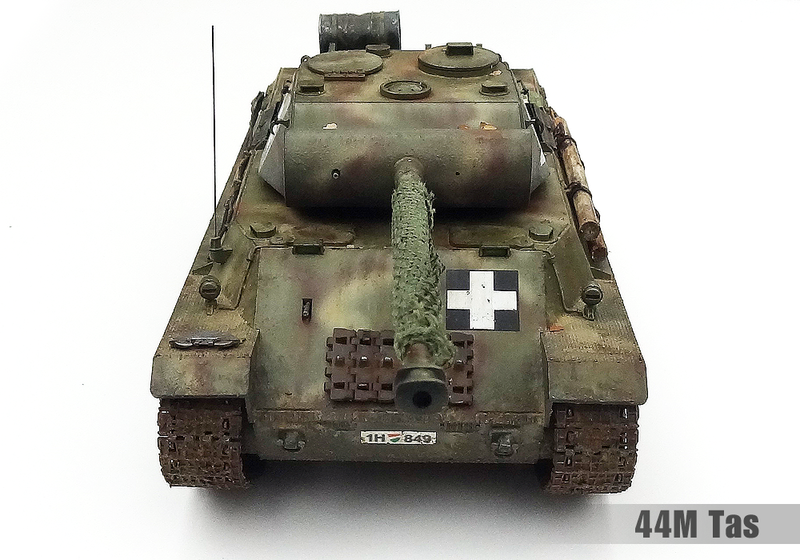 The turret is really one of the Panther's. 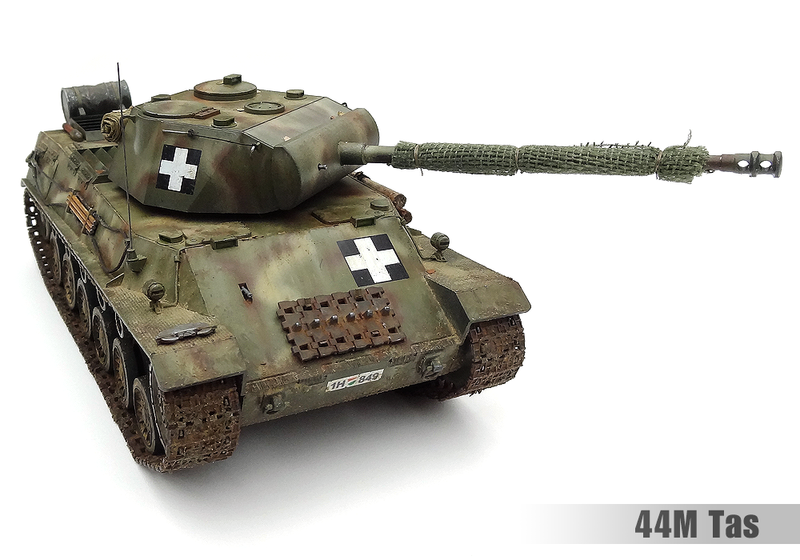 No, the P40 looks quite different IMO. 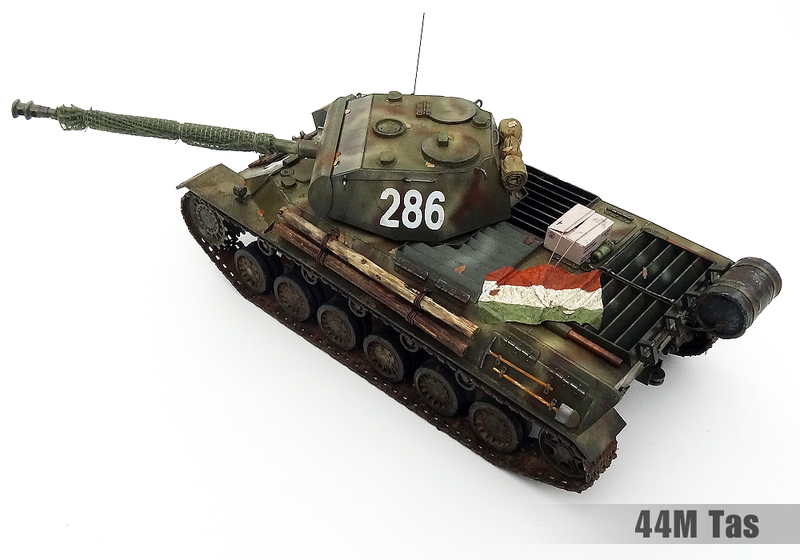 The Tas was influenced by the T-34 & Panther but it's all designed in Hungary. Not my work but 3D printed C&C models! 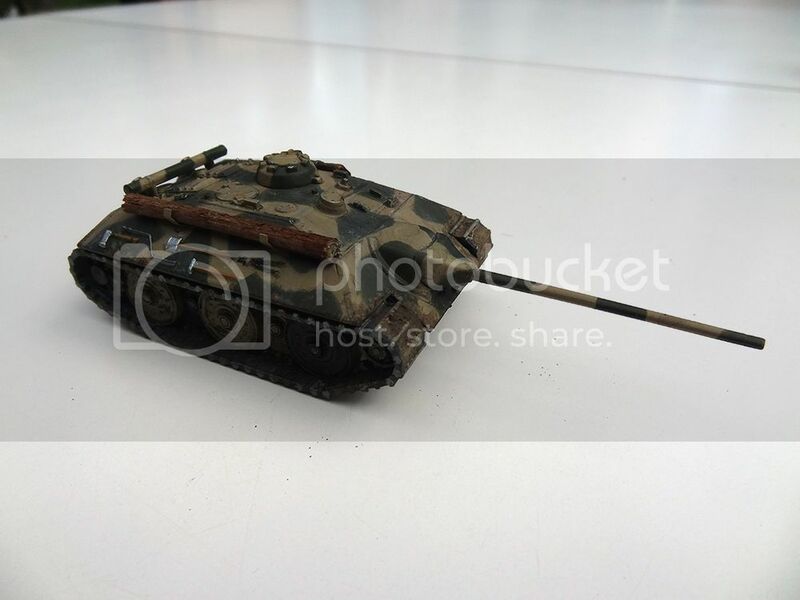 Looks nice but they are pretty small tho, this mammoth tank being only 2.7cm long. The ones I've made above are about 10x longer then that. 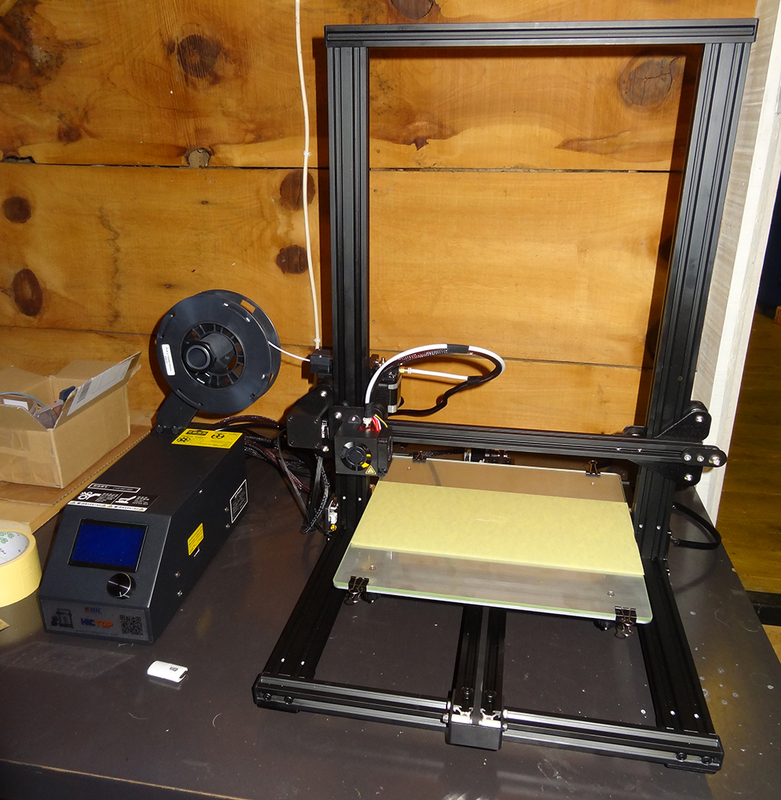 I decided to finally get my own 3D printer, so project Mammoth Tank is back on! I'm looking forward for some feedback from you how it was working with that thing. How big do you think you can get prints done with it? Oh, if you are looking for a 3d model of the mammoth, i happen to have one. P.S. feel free to print a copy of your printer and send me the copy. 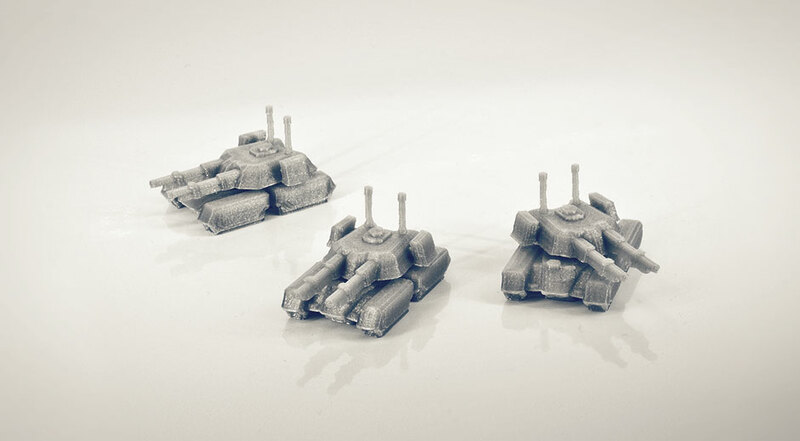 If you remember I started designing a 3D Mammoth tank model specifically for 3D printing. When it turned out it would cost hundreds of euros to get a company to do the prints for me I gave up. Now that I can do it myself tho I'll dig it back up & finish it off. ah, forgot about that topic. hmm, since your printers max size for printed objects is surely smaller than a factory printed object, you could still get the result quite big by splitting the mammoth up. Do you checked already how sturdy/hard the the printed material will be? 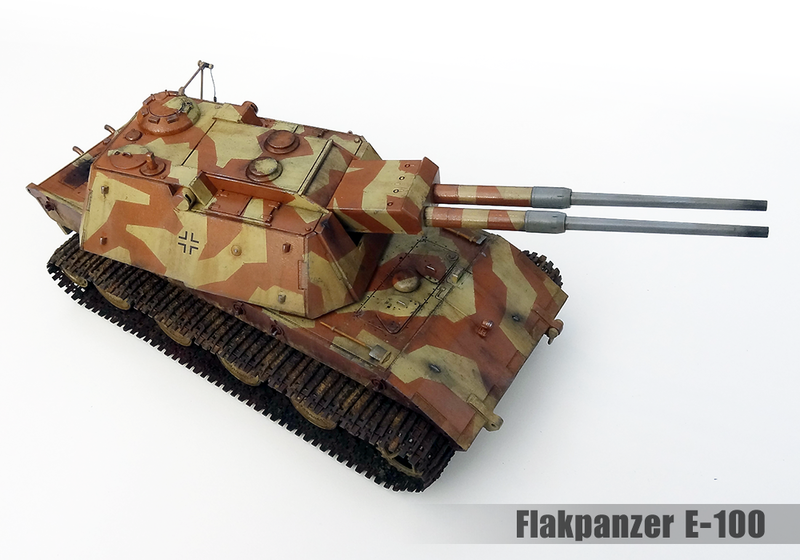 I can print max 30x30x40cm which can easily fit a 1/72 model. My preference has changed to 1/35 scale now days, so the model would probably need to split up for that scale tho (it might fit diagonally) . 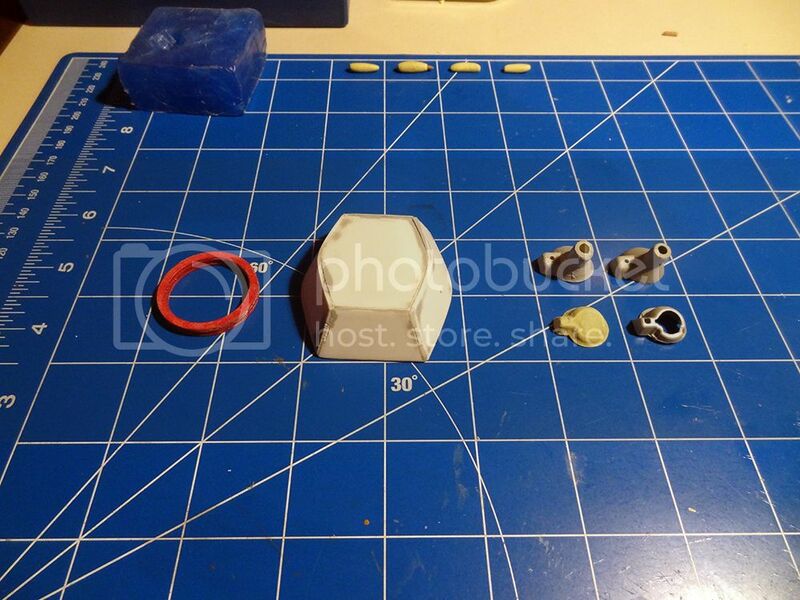 The plastic is pretty sturdy even more so then the plastic of the model kits that I normally build. Tracks & wheels: ?x they would all be separate parts & I haven't calculated how many yet. 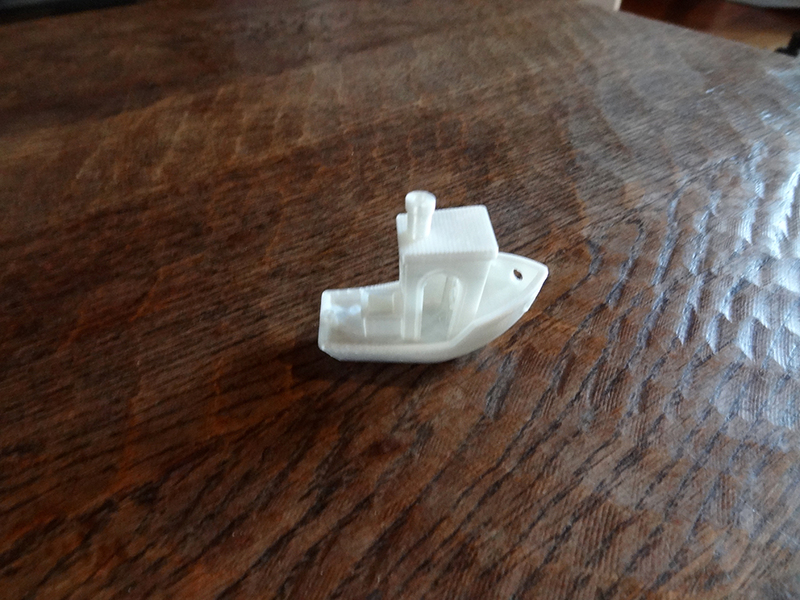 My first print was this small boat BTW, which is specially designed with complex curved shapes to test the abilities of a 3D printer, it came out better then I was expecting. 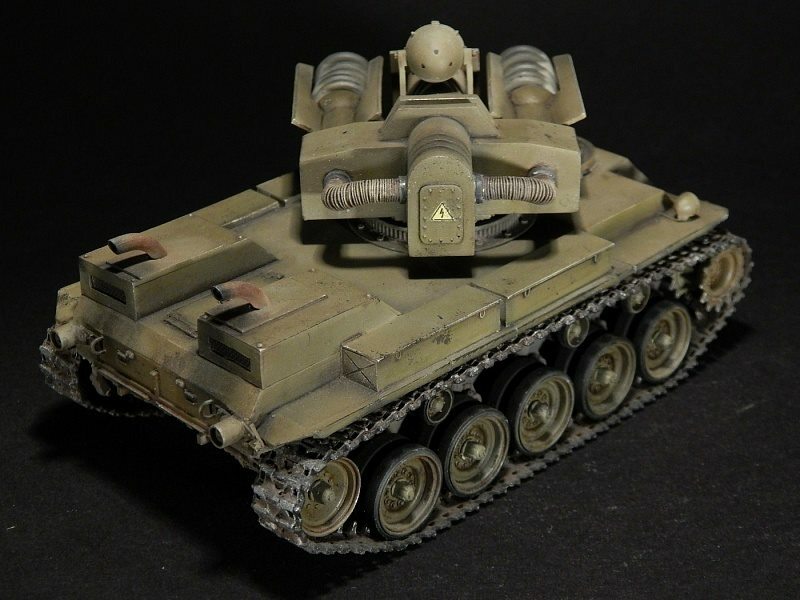 I also found online a 3D printable model of the heavy tank from Dune 2, which I'll tryout in the next few days. 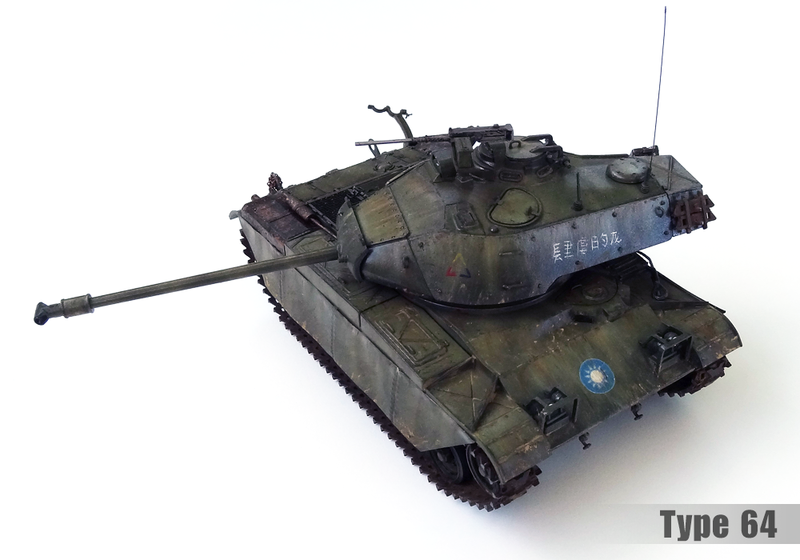 My latest model tank, the Chinese/Taiwanese Type 64. 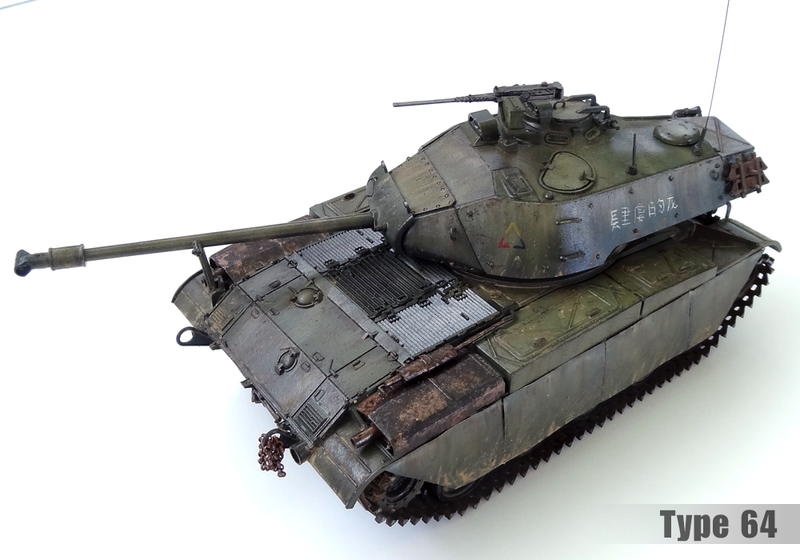 The model kit is Tamiya's 1/35 scale M41 Walker Bulldog, which was originally released in 1975 as a remote control toy & has been in production ever since. It can be bought really cheap & is recommended to any beginners because of its simple & easy construction. 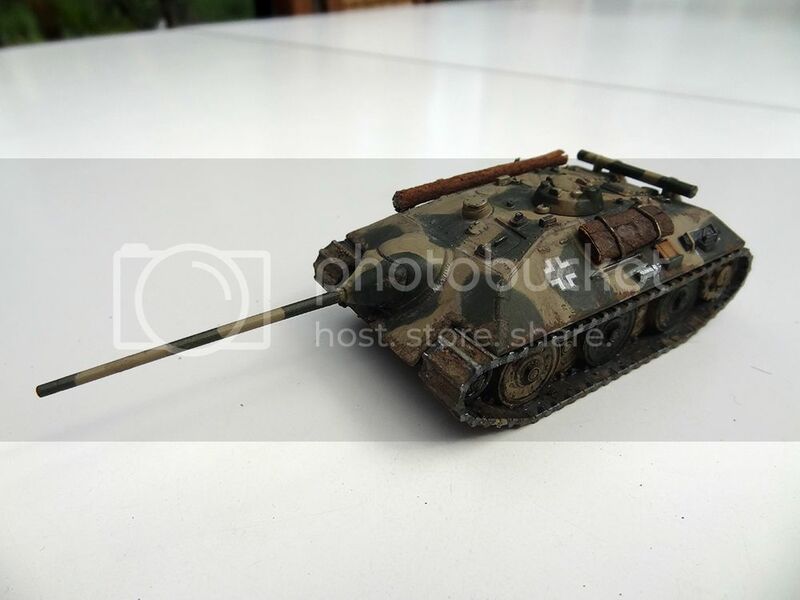 Because of how common this kit is I decided to do something a bit different & convert it into the rather obscure Type 64. 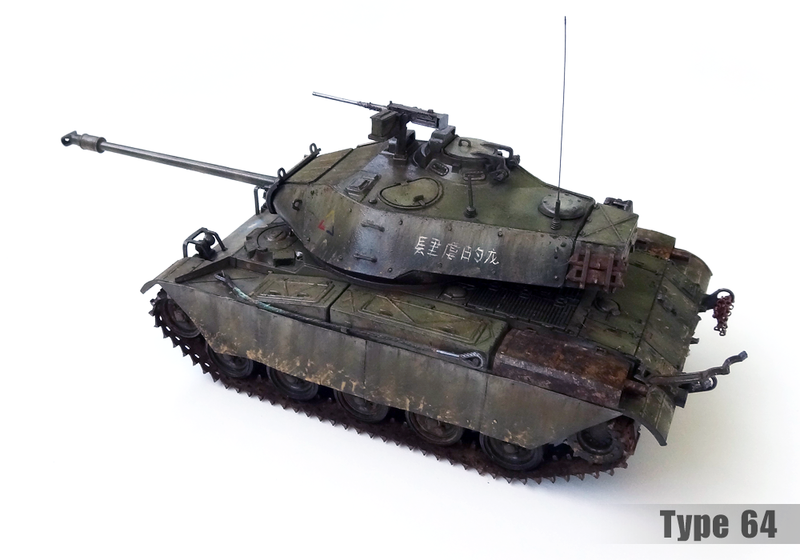 Which was an upgraded version of the M41 developed in Taiwan in 1964, it featured a new engine, extra armour bolted onto the turret sides & new side-skirts. Only two prototypes were built, one was destroyed on a firing range & the other is currently displayed in a museum. 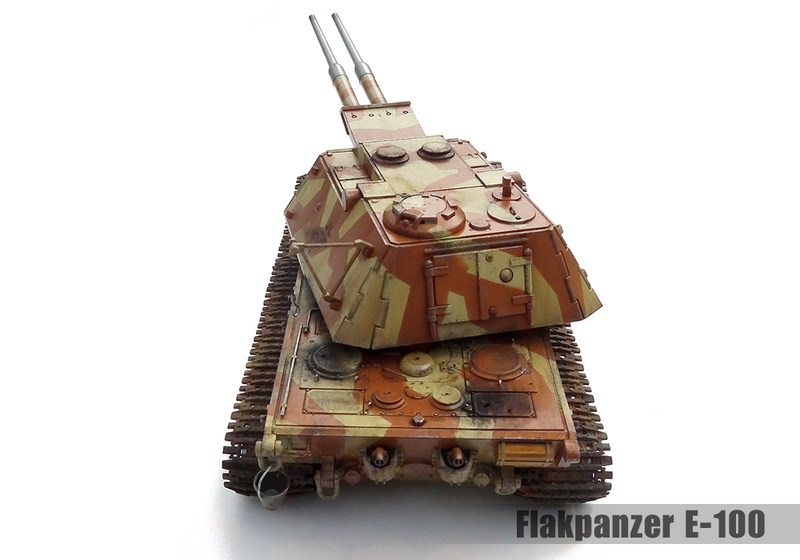 The extra turret armour was made with plastic card that was warmed up & bent into shape, the side-skirts are made from aluminium cut from a drinks can & the ROC insignia I printed myself. 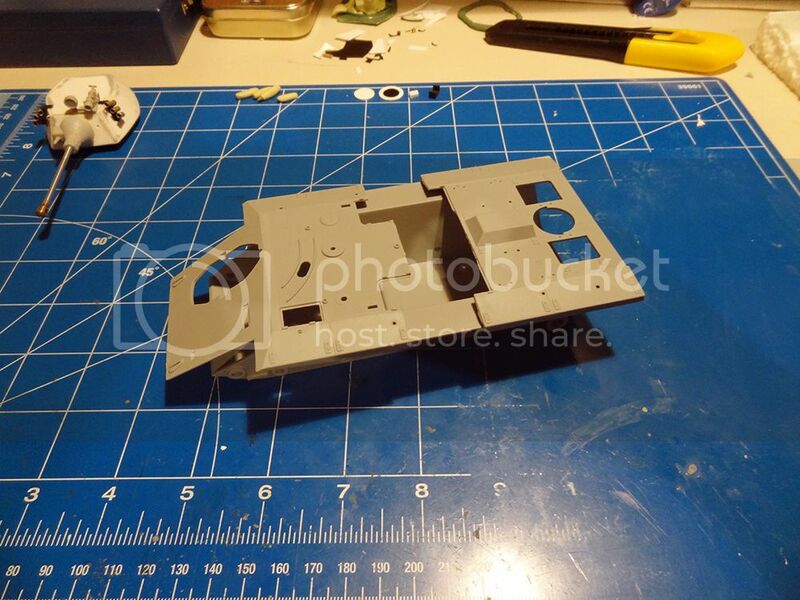 As this kit was originally a motorised toy it is full of holes for the electronics which I filled in & sanded smooth. I also scratch-built several extra parts that aren't included in this kit, such as the third exhaust, support bars over the fenders & all of the vision ports were drilled out & replaced with new clear parts. When I started this build I thought it would be quick & simple but it turned into a bit of a chore & I felt rather drained after. So much so that it's taken me two months to get around to taking pictures of it. 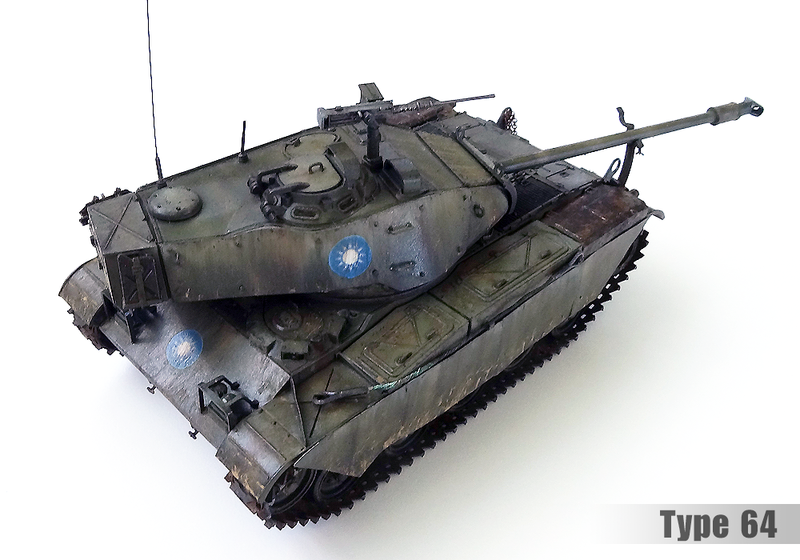 Note: There are actually two different tanks called Type 64, the other (& better known) Type 64 was a hybrid of an M42 Duster hull & a M18 Hellcat turret. 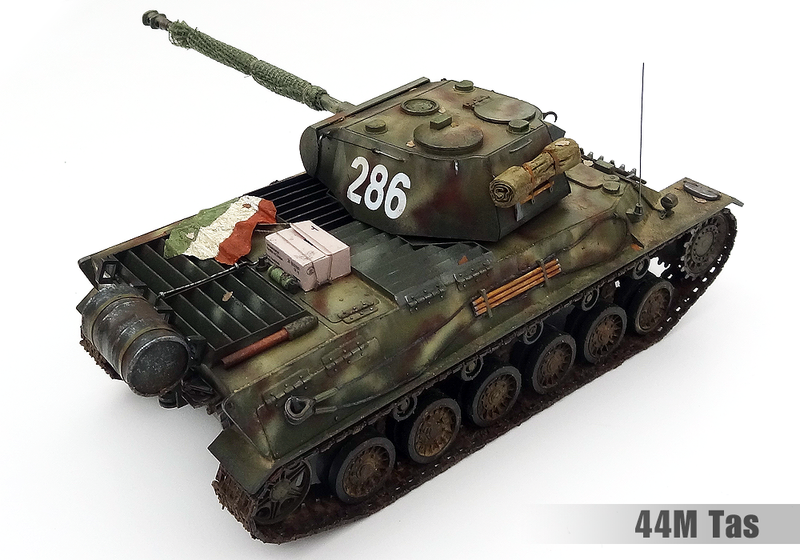 This "hybrid" Type 64 was build as a stop-gap design after development of this Type 64 was cancelled. 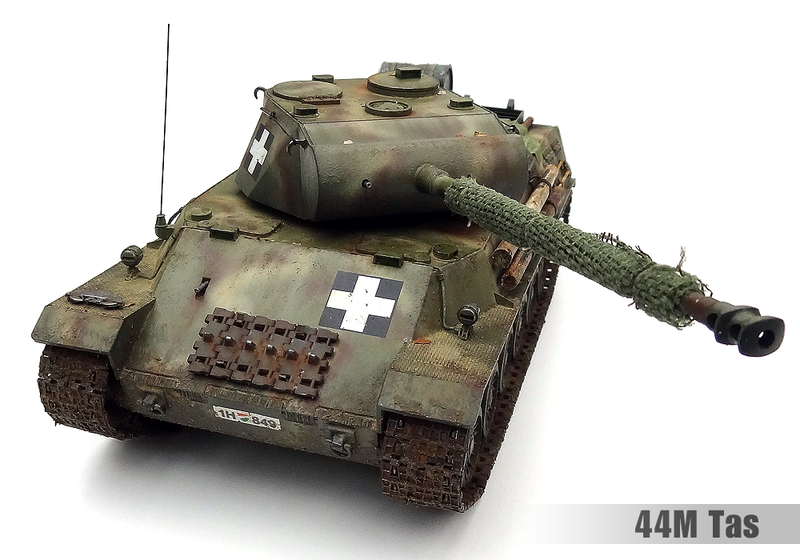 PS: I haven't just been working on model kits More D-day news coming in a few days.